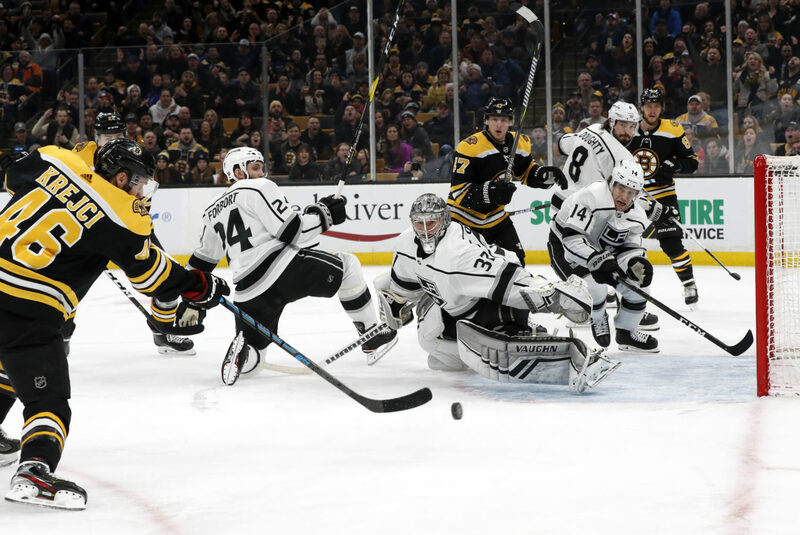 So, that’s a very complex point the LA Kings earned in a 5-4 overtime loss to the Boston Bruins in one of the more entertaining and momentum-driven games of the year. You’re aware of the circumstances, but to repeat: the Kings were even after a first period in which they were outplayed, used an excellent second period to take a 2-1 lead into the third, allowed three goals, including a shorthanded marker by Brad Marchand, over a three and a half minute span to fall behind 4-2 only to will themselves back into the game with Nate Thompson and Oscar Fantenberg tallies. From there, an Ilya Kovalchuk overtime tripping minor teed up the Bruins’ second-ranked power play, and you can imagine where it goes from here. (He fixes the cable?) Generally, those single points are qualifiers. If a team is on a run, it extends a point streak. If they’re on a skid, it extends the losing streak. And then there are the Kings, who need points (but also don’t really need points, because their playoff chances were below five percent, and do need to add the type of skill that a high draft pick can provide) and eked one out on the road against a playoff team. So! That’s pretty complex. The value of that single point is in the eye of the LAKI Commenter. 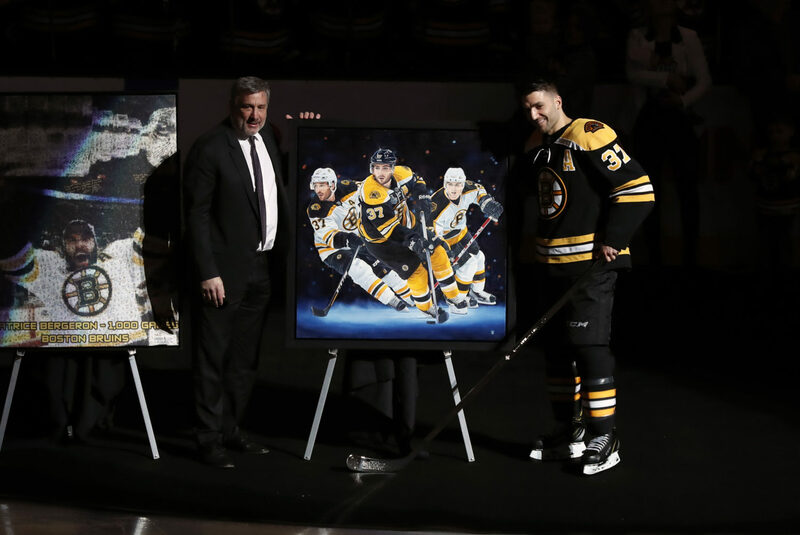 More acutely, the fourth line broke a cardinal rule – don’t get scored on – when Kyle Clifford, Michael Amadio and Austin Wagner, along with Drew Doughty and Derek Forbort were victimized by the Patrice Bergeron line and an activating Charlie McAvoy. Boston’s heavy cycle game and switch-offs are difficult for any team to contain, and the Amadio line got beaten by some world class players early in the second. That line’s performance might not have as favorably matched the standout efforts produced earlier on the road trip, so if you’re looking for an opening for a healthy Trevor Lewis to get back into the lineup, it’s probably there. 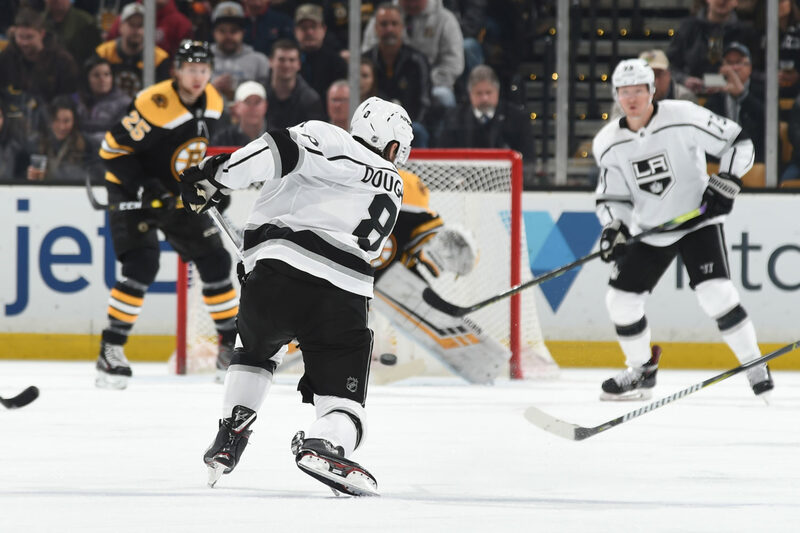 The Adrian Kempe line continued to play in the offensive zone over a collection of quality minutes, and Kempe nearly ended the game on a high-speed overtime breakaway. 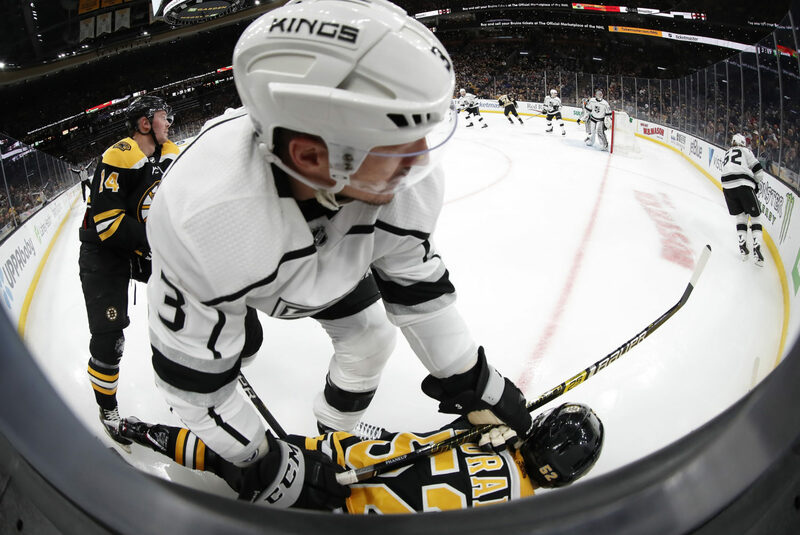 It’s interesting that Kempe’s best hockey has taken place while Jeff Carter has been injured and he’s faced tougher competition, especially on the road; he was fine against the Sean Kuraly line on Saturday but struggled when the David Krejci line was matched against him. The team was a touch unfortunate that it was outscored 2-1 in special teams, because their first power play was a major momentum boost that provided second period momentum, and they killed both of the Bruins’ 5×4 power plays without allowing any consistent sniffs at the net. Los Angeles took nine shots to Boston’s three during power play time, but it’s not exactly easy to kill a four-on-three when the three opposing forwards are David Pastrnak, Brad Marchand and Patrice Bergeron. Something that’s becoming clearer – and shouldn’t take until Game 55 to reference as a positive – is that their battle and will have been raised to the point where we’re no longer really referencing terms like “emotional investment” in these columns. They don’t have the same horses they used to earlier this decade, but their resilience has been a positive on a trip in which they have points in three games in which they allowed the first goal, a notion underscored by injuries and personnel challenges. On the flip side, they held leads in the two games they lost, adding to the complexity of a solid 3-1-1 trip thus far. But it did take quite some time for this team to rekindle its familiar resilience that was a load-bearing pillar of their success both this decade and as recently as last season, when they won 24 games in which they allowed the first goal. Where had this been earlier this year? That’s like Mystery Valley for me.